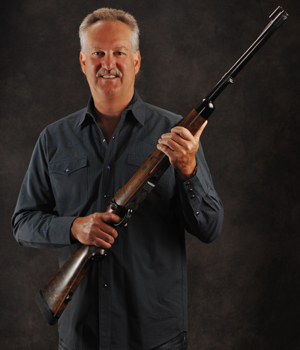 The Ryan Breeding Rifle is the culmination of my long association with noted Riflemaker and African Hunter, Gil Van Horn. This combined effort totals over 90 years experience in methods and design innovations, which guarantees the finest and most dependable Safari rifles available today. My rifles have been extensively tested and proven in game fields throughout the world by clients and professional hunters alike. Many professionals opt for my 5-shot short barrel big bores for the ultimate fast handling ‘stopper’ in dangerous situations. Ultra rugged design ensures the utmost dependability. You can be assured that the finest attention to detail will be applied at every phase in the construction of your rifle. I sincerely appreciate your interest in my work, and I look forward to building you a Safari rifle to be proud of for years to come.